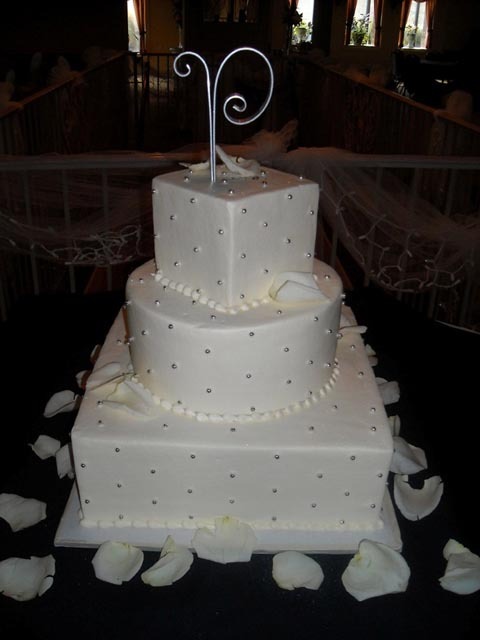 Three tiered cake, square and round layers. Rose petal accents. Initial on top.